Healthy eating and children’s nutrition is included in the National Quality Standard (revised 2018) in Quality Area 2 - Children’s health and safety, which focuses on supporting and promoting children’s health and safety when they are attending education and care services. The Healthy Eating Advisory Service can assist your service to address the Exceeding themes of the NQS. ensure that the weekly menu accurately describes the food and beverages to be provided by the service each day (regulation 80). We have summarised all of these requirements in a handy guide for early childhood services called Healthy Eating in National Quality Standard (PDF). 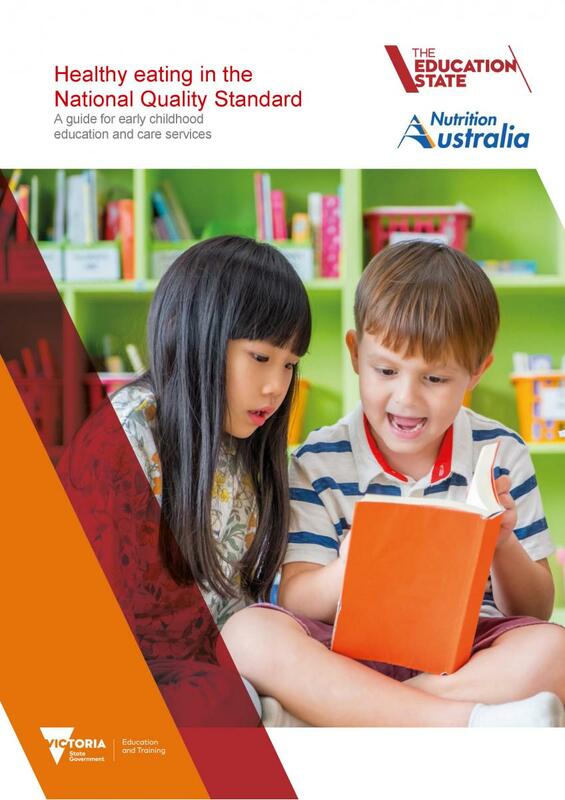 We developed the guide with Victorian Department of Education and Training to assist education and care services to provide appropriate nutrition to children, promote healthy eating and meet the element 2.1.3* of the National Quality Standard (revised 2018), and relevant National Regulations. It provides examples of how providers, services and supervisors might meet or exceed each area. Authorised officers can also use the guide to assist them in determining whether education and care services meet the requirements of element 2.1.3* of the National Quality Standard and the National Regulations. Click here to read 'Healthy eating in the National Quality Standard' (PDF). The Healthy Eating Advisory Service provides free information, training and support for Victorian early childhood education and care services to promote healthy eating. For education and care services in Victoria that are working towards meeting the Achievement Program's Healthy Eating and Oral Health benchmarks and/or the Smiles 4 Miles award, it is desirable that the service has a ‘meeting’ or ‘exceeding’ rating for standard 2.1.